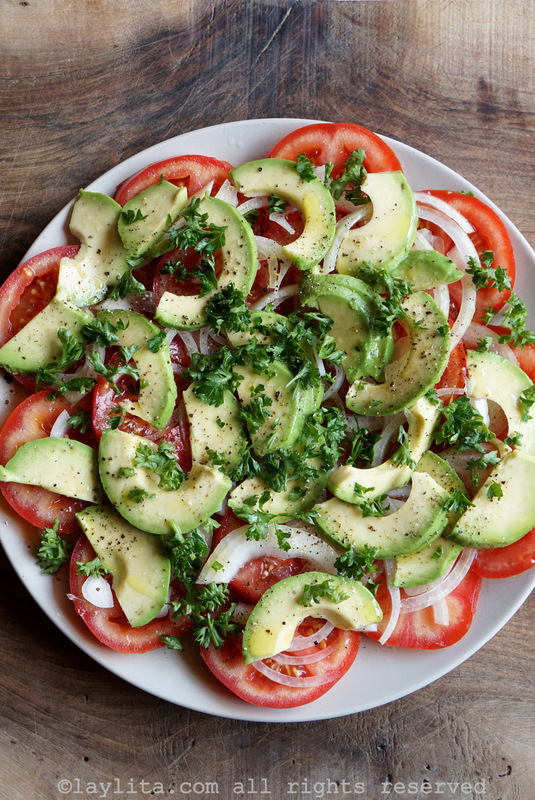 Simple (yet delicious) avocado and tomato salad made with ripe tomatoes, avocado, onion, cilantro, lime juice, olive oil, and salt. 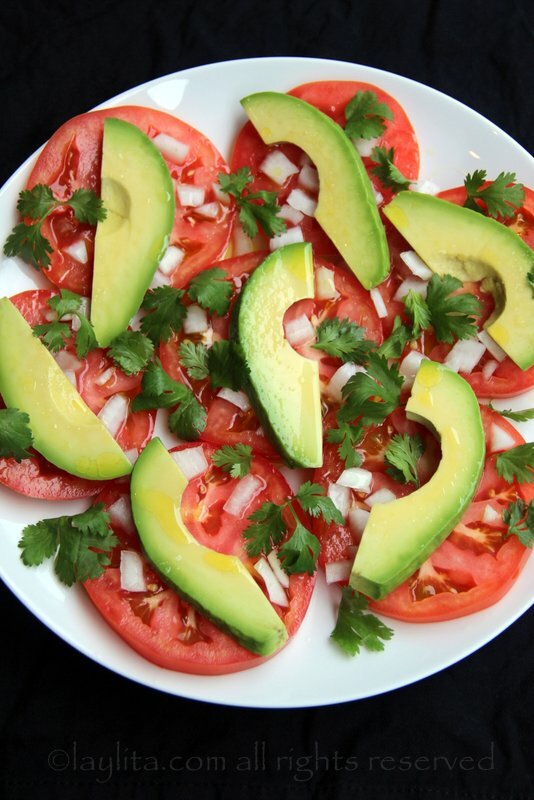 This is another one of my super quick salad recipes and is part of my goal of sharing more easy salad recipes. 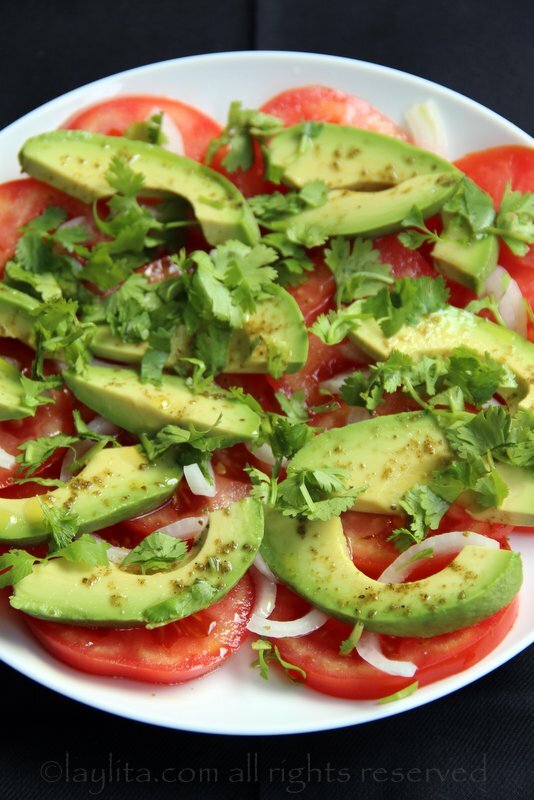 This avocado and tomato salad is one of my favorite simple salads or side dishes. 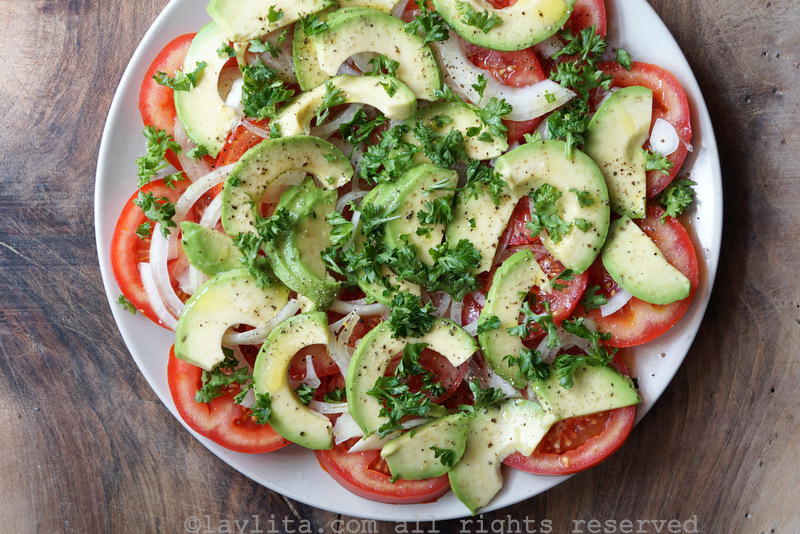 It’s one of those easy to make salads that you can just throw on a plate and eat as a light lunch or afternoon snack. 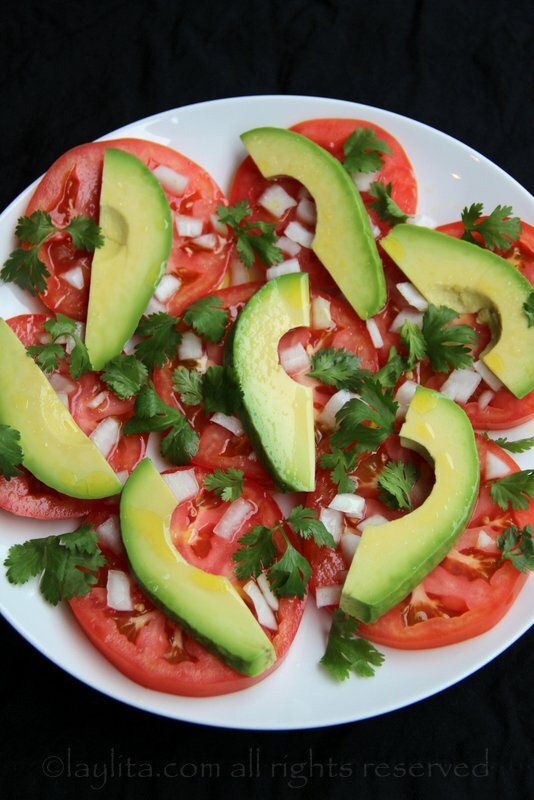 Easy and simple avocado and tomato salad made with ripe tomatoes, avocado, onion, cilantro/parsley, lime juice, olive oil, and salt. 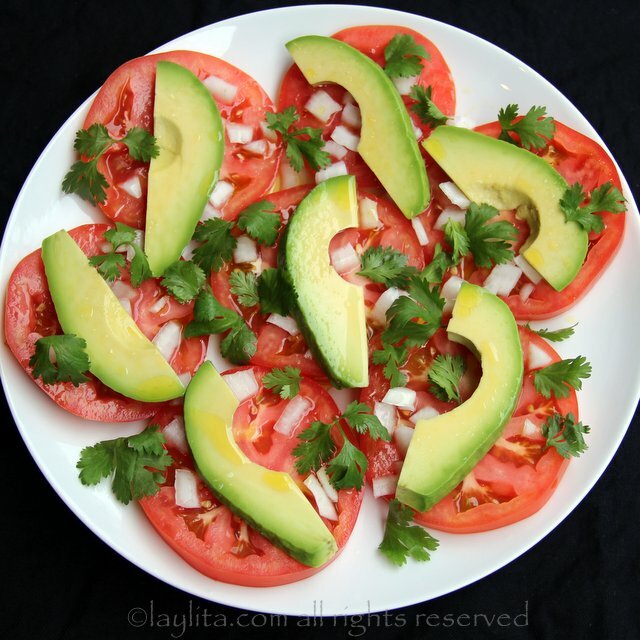 Arrange the tomato slices on a large plate, next add the diced or sliced onions, and avocado slices. 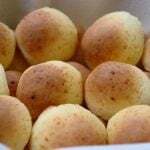 Drizzle with the lime juice and the olive oil. Sprinkle with cilantro/parsley and salt to taste. Oh. My. Gosh. It’s beautiful. So simple; really confused why I haven’t thought of this before. 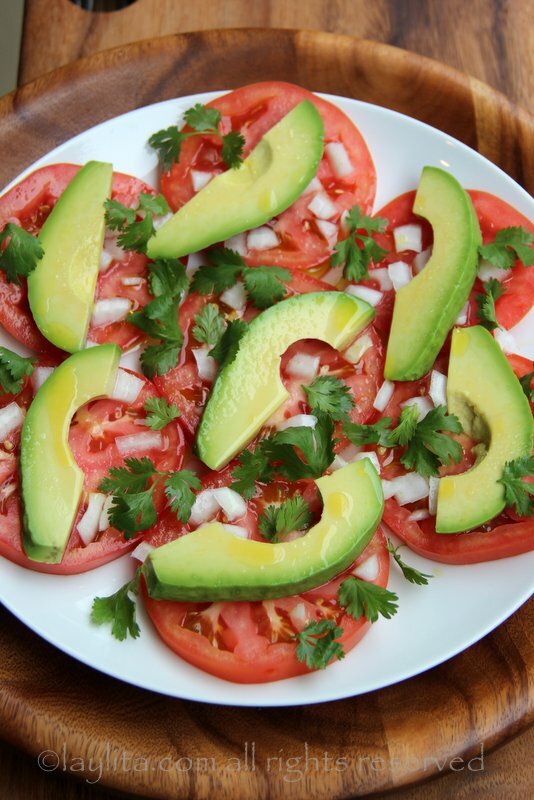 Almost like a deconstructed pico de gallo, minus the spice. 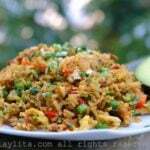 Making this for lunch today!